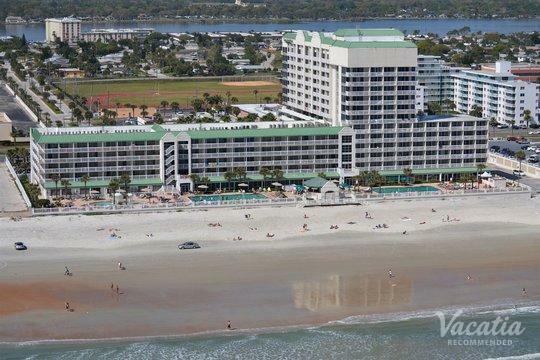 Daytona Beach is one of the most famous vacation destinations in America, if not the world. 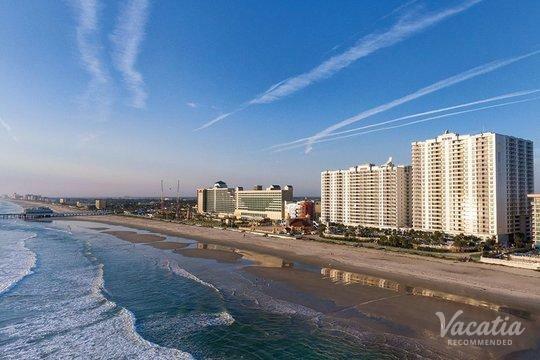 Whether you want to party, see a NASCAR race, surf, swim, or just soak up the sun, Daytona Beach is where millions go to watch their worries drift away on the emerald-hued waves. 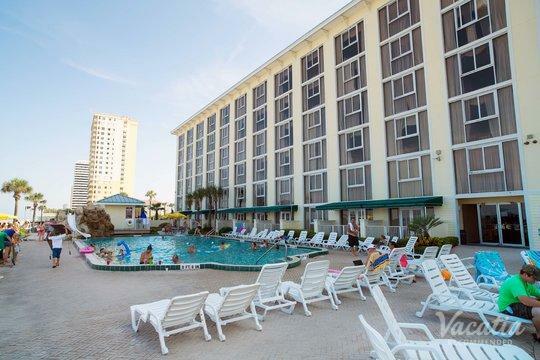 One of the most important aspects of your Daytona Beach vacation is your accommodation. Although you can find thousands of options online, it can be hard to sort through them all to find Daytona Beach oceanfront resorts. This is why you should work with Vacatia. Our extensive listings have been comprehensively organized so you can find what you're looking for quickly and easily. 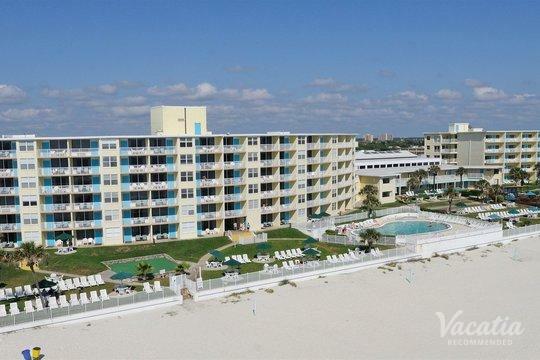 All our Daytona Beach oceanfront condos, resorts, and hotels have been highly recommended. If you have any questions, just start an online chat with a member of our friendly and knowledgeable Guest Care team. When you start looking for accommodation, you mind be in search of a resort or hotel with many luxurious services and amenities. On the other hand, you might be hoping to enjoy the comforts of home during your stay. For those who want the best of both worlds, Vacatia offers resort residences. These unique accommodation units come with their own living room, dining room, and fully equipped kitchen. You can hang out with your friends and family in a spacious personal area, and you can prepare breakfast, lunch, or dinner to save on food costs. If your unit has its own washer/dryer, you'll be able to do a quick load of laundry to keep things light and fresh. Resort residences also come with all those high-end resort luxuries, including on-site dining, concierge check-in, daily housekeeping, fun pools and waterslides, and more. 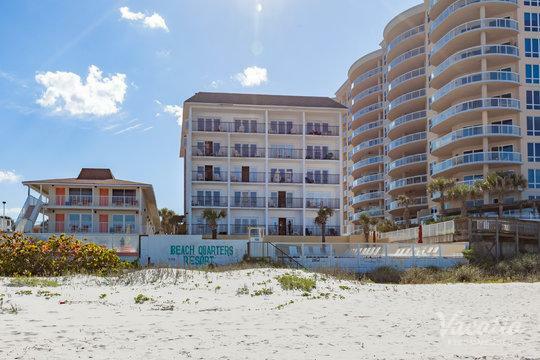 After you've settled into one of Vacatia's Daytona Beach oceanfront hotels, you will be all set to explore this iconic Northwest Florida destination. Daytona Beach has something for everyone, including families, friends, and racing fans. 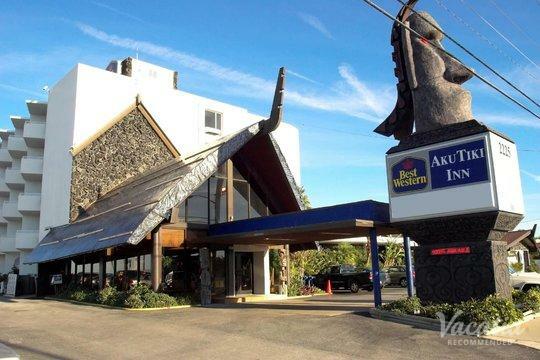 Of course, the city is home to all manner of highly recommended resorts and condos that you can book on Vacatia. 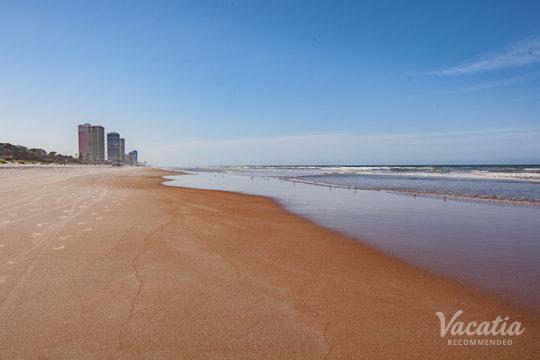 Daytona Beach is a great place to be during Spring Break, the Daytona 500, or any time of year. This locale is known far and wide for its surfing, swimming, and hard-packed sand in designated drive-along-the-beach areas. Another great attraction is the Daytona Beach Pier, a historic site that has just reopened after undergoing $5 million in restorations. Along the famous Boardwalk Amusement area, you'll find roller coasters, arcades, a Ferris wheel, souvenir stands, and more.